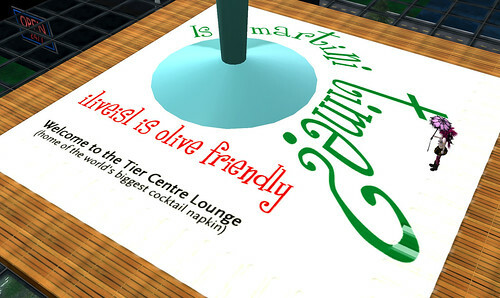 Many universities are using Second Life as a learning tool. However, the place to watch for longevity as a true tool is in OpenSim deployed worlds. Virtual world adoption has passed the initial media hyped stage of three years ago and now we will see those that are finding it a useful and valuable educational tool and not a distraction. The initial hype swept up many educators and institutions as it seemed that Second Life was this incredibly immersive learning environment. It certainly can be, if enough time and talent is involved. Many universities have found that without a substantial effort by skilled individuals, their sims are of little value and indeed just a distraction. There are some very good programs in Second Life, such as an associates degree offered by Texas State Technical College but there are also examples of the complete abandonment by significant institutions. Notably, Princeton University pulled out of Second Life this month. Princeton certainly has a pool of skilled individuals, and the monetary resources, to be in Second Life (even with the educational discount, Second Life is still fairly expensive – especially compared with other collaborative education tools such as wikis, Google Groups, BuddyPress, etc.). OpenSim options are far less expensive and can either be deployed through a virtual world hosting company or deployed on the institution’s own hardware (as opposed to Linden Lab’s yearly $55K option for a private Second Life setup). In researching hosting companies be sure to read Hypergrid Business who maintains a list of hosts as well as articles about them. I am biased toward Reaction Grid who has stellar service and a very stable deployment. OpenSim can seem to not be as robust as Second Life but it is very close (and in some ways, superior – MOODLE is typically part of standard OpenSim deployments). OpenSim is still considered alpha software but our experience after six months with Reaction Grid is that it is just as good for our purposes as Second Life (Linden Lab’s latest changes to their terms of service give us pause in developing any tools within it and if whether we will always retain full copyright – three years ago Philip Rosedale, founder of Linden Lab, declared that your creations are real and that you should be able to profit from them, now that language has changed to being granted a license from Linden Lab for anything you create). In my opinion, virtual worlds are not quite “there” yet for mainstream adoption by educational institutions. Second Life has too many issues, politics, and policies that cripple it for education (policies such as age limit and copyright) and is too costly with difficulty in showing a true ROI. OpenSim is developing quickly and, as it becomes more widely adopted, it may become a clearer choice (there are currently more “private” sims in OSGrid than in Second Life). Virtual worlds are another communication channel and will continue to evolve and become easier to use. Once they become easier to access, hold more people in one place, and get past some of the negative stigma that Second Life has created (mainly adult content and over hyping by he media), then we will see more widespread use. Once that happens, more developers will create activities and materials that can be leveraged by others (we are a very small example of that with Ener making free office furniture and buildings and having spaces for creative people like the rest of the iliveisl team). Right now virtual worlds are very much at the stage where everyone is still printing their own books in a manner of speaking and building many things from scratch. It would be hard for a real world Princeton to excel at education if they had to build their own chairs, LCD projectors, and so on. For many institutions, Second Life was a distraction, for a few it continues to be effective. It takes passionate and talented people to shape any technology into a truly meaningful and effective tool. Does Linden Lab have those people? With the loss of Pathfinder Linden and the abhorrent treatment of Jokay it would seem that the educational focus is over. OpenSim is open source and very talented people are developing it with many individuals actively using it for education. Will OpenSim be “the” virtual world for education? Only time will tell. The web changes quickly. Five years ago MySpace ruled social networks and Twitter had not been created yet. Ener Hax had quite the weekend with the very hard decision to shutter the iliveisl Second Life estate (end of a Second Life chapter). The resulting outpouring of love and support was amazing. The residents banded together and have scheduled to buy 90% of the sims as individuals but keep the spirit of the community going. While no comment was made by Linden Lab, it was interesting that support came from the estate’s residents, residents from other estates, facebook friends, and even the co-founder of OpenSim! 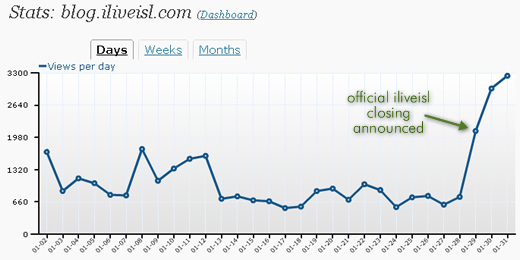 It looks as though there have been over 200 tweets of support and blog traffic tripled. Ener is very good about communicating openly and honestly and at building true community spirit. The use of the iliveisl blog and twitter helped calm fears and set direction for those affected. Most private estates simply vanish in the night with no warning or consideration of their residents. That type of behavior could be discouraged by Linden Lab (perhaps a refundable sim deposit based on sim activity?). Ener is keeping the estate going a full month after the announcement with a soft transfer date of February 16th and this is clear with a formal blog announcement and the distribution of notecards in-world, both easy to monitor and verify. There are other ways this could be done as well. For those not using virtual worlds as an income tool, shop owners and content creators spend much time developing traffic to their shops and the associated landmarks. Once a sim is gone, that landmark no longer works. Of course, I am biased but so very glad that Ener will be our chief builder for the Reaction Grid endeavor we are launching. Ener will no longer need to worry about the financial side of being a virtual world estate manager (19 sims at the peak of our 25 month effort – all of which was 100% run by Ener) and can concentrate on just building – a true passion. Why did we leave Second Life? I could list my issues and Ener could too, but from a training and eLearning perspective OpenSim is superior. Scripts run faster, higher frame rates coupled with higher anti-aliasing make for better video, and about 10% the expense. I’ll be talking at the end of May in Chicago about eLearning and the use of virtual worlds, namely hosted solutions like Reaction Grid, and more details are coming soon. Also, the launch of a rich free resource (Enclave Harbor) for educators and businesses thinking of looking into virtual worlds will be unveiled soon. A note to Ener: great job with this hard choice and it is clear that you are very much loved and that your work in Second Life was enjoyed by many. I’ll miss the Eville Atomic Lounge but I see that you started on one in Reaction Grid today as a way to unwind (you should try a martini to unwind!). very nice, but now at quarter to midnite, we hit 3400 – nite and thanks on all the moral support over this grueling weekend. woof, don’t want to ever do that again! I wish you luck over in RG. I want SL alternatives to emerge, but RG is proving to be much laggier, crashy, and difficult for building in-world than it was late last year. Are they growing to fast? I’m not as impressed as I had been, but I wish them and you well, because the costs and promises of the grid are worth the growing pains. I can’t say about lag very well because their have never been more than 3 of us on our grid at any one time! And with few things built and fewer scripts, it is running great but so would Second Life. Once we comnnect into the main sims of Reaction Grid, I should have a better handle on this. There are many small quirks that find most frustrating. Terraforming is not as fast as in Second Life (albeit, this is not something most people do often) and I get weird rendering issues. Yesterday I was on with my wonderful builder, Ener Hax, and asked what happened to the bottom half of an office building and the top of her water tower. She flew over and said “what?”. She could see the “missing” prims, but I could not. OpenSim, thus Reaction Grid, is still alpha and will be some time for many issues to be worked out (I would love to have groups put in place, for example). I can deal with my feet bending funny for now with the hope that improvements come along steadily. Cost reflects that as well. It’s not a Second Life experience and for us is about 5% the cost as well. For my purposes, Reaction Grid works just fine and I am very happy with it and their team. You probably remember Google’s Lively. It was around for about a year and then Google shelved it. But did you know that they have been working on a browser-based 3D plugin for a while? It’s called O3D and was posted here last April. Now there are always things being worked on that never quite make it into day-to-day living, but today’s post on Chrome OS puts the virtual web-in-a-browser a bit closer to a reality. What does this mean? Maybe websites will have virtual worlds within them? Imagine amazon.com’s home page as a 3D store you can enter. Maybe go to an aisle of books on Second Life and see that other people are there and strike up a conversation about what books they like. And what does this mean to things like Second Life? Who knows, there could be many outcomes. Maybe Linden Lab stays closed off to the rest of the hypergridded world and turns into an AOL type debacle. Certainly with the new SL in a Box, the thought of them staying isolated seems to be the case. Linden Lab is working on browser-based plugins, but how successful it will be is anyone’s guess. OpenSim (like our latest venture into Reaction Grid) is built to hypergrid to many other grids. This certainly seems more like a model that all of us understand in regard to real business and the web as we know it today. The iliveisl team is heavily vested in Second Life, both in money for sims and with our inventories. The money is one thing, and while a large investment, the issue of our inventories are the biggest obstacles for us entering open source grids built with OpenSim. However, our desire to help business and eLearning has led us to our own OpenSim grid with Reaction Grid. The obstacle of leaving most of your inventory behind is simply outweighed by the possibilities of hypergridded OpenSim worlds. The politics are much less, the focus sharper, the cost much less, the performance significantly better, and the options seem to be what we had hoped Second Life would have been. We have three years in Second Life and fortunately all our skills are 100% transferable to an OpenSim grid. Things change. Second Life has changed. Viable alternatives are appearing. Google’s O3D may be one of those turning points like Flash was in 1999. Wow, talk about service! Reaction Grid has set up our first four sims in a matter of hours. And my big thrill? I can change sim names for free! 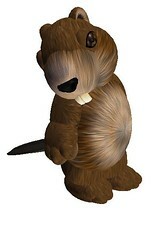 A brave new world for this little beaver! Stay tuned as we discover what we can do (we really only know the Second Life paradigm but are eager to learn and make huge 256 metre tori!). And then to create public use spaces just like we have in Second Life! As you may tell, I am a little excited (read: full on spaz mode engaged). Hey, if you can’t enjoy what you do, then why do it! martini time sounds awefully tempting! update! Well, what a night! Our little grid is up and wasn’t so bad to get started. Our interpid superstars Ener and DreamWalker made a go of it till the wee hours of the night. The team at Reaction Grid provided ample instructions on logging into our server and registering new users. With zero experience in an actual OpenSim that is not a standalone on a own box, I managed to hit it, shut it down, and restart it. Ener and DreamWalker went in and started messing with terraforming. It’s a fun new learning experience! 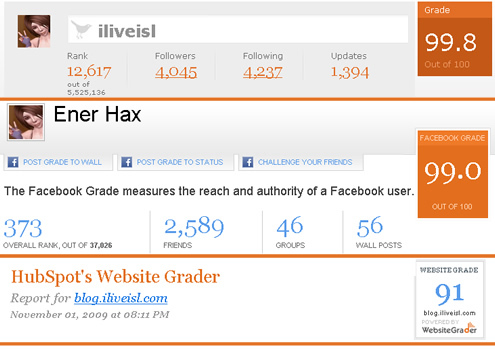 As the driver behind the social networking strategy of the iliveisl estate (Second Life virtual real estate), I look at various analytic tools to measure what are the best “fits” for these efforts. The iliveisl estate has a presence in many social networks, including LinkedIn, Youtube, blip.tv, CafePress, Urban Dictionary, Threadless Tees, Gravatar, Ning networks, Google and Yahoo profiles, various Second Life forums, and so on. An easy analytic tool to use is grader.com. It’s a nice and easy tool for benchmarking your efforts. The relatively new Facebook Grader does not have a large dataset yet, but can sill be used to measure your growth from a week to week. Here we see the Twitter grade for the account updated by Ener Hax, the spokesperson of the social campaign. 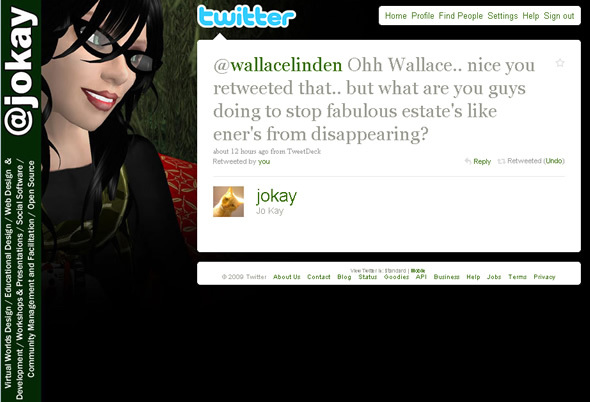 Secondly, the Facebook page of Ener Hax for the estate, and lastly the iliveisl blog. Twitter and Facebook drive traffic to the blog. The blog posts automatically update the Twitter account and that updates the Facebook page. Why does any of this matter? How does it apply to eLearning? Effective social networking is vital if you want to promote your educational efforts and share your lessons learned with the eLearning community. Individuals will post comments to our iliveisl blog posts on the Facebook wall and carry on a conversation with each other about our posts. That was a suprising and pleasant discovery.